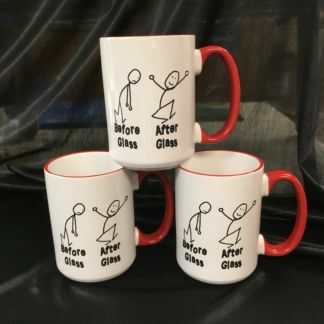 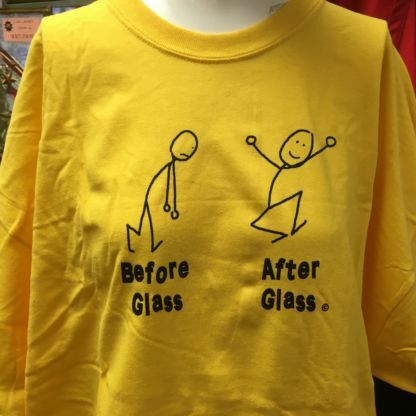 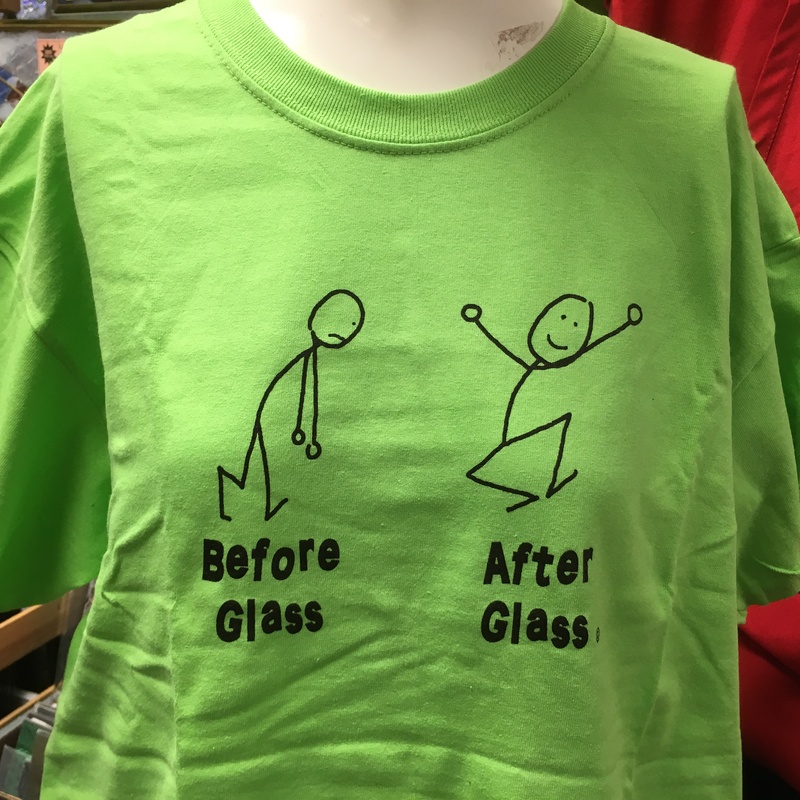 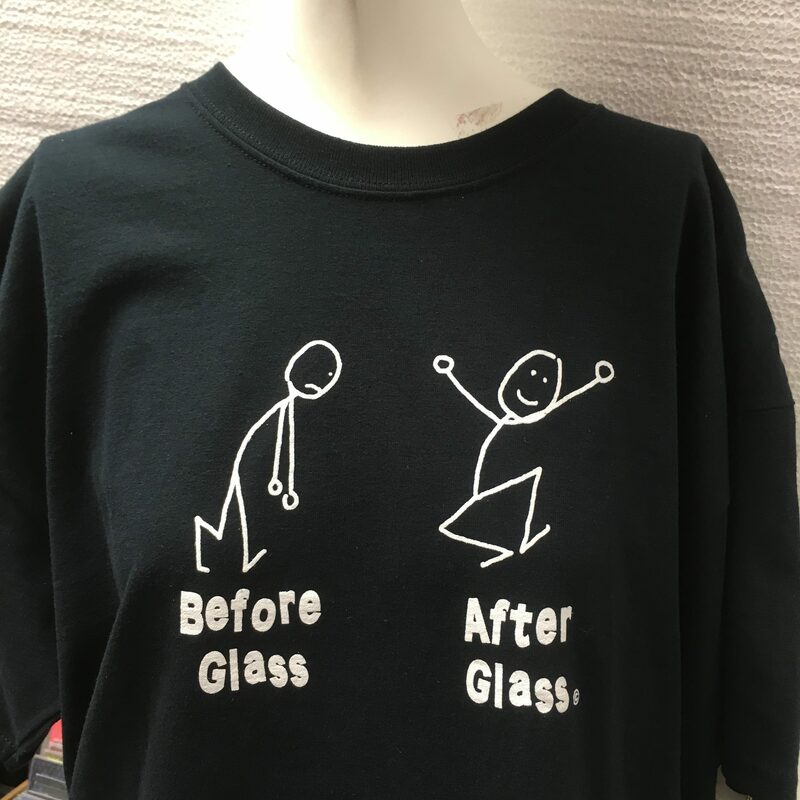 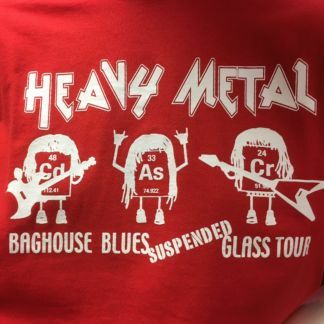 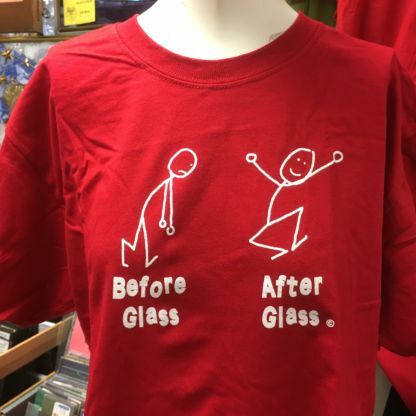 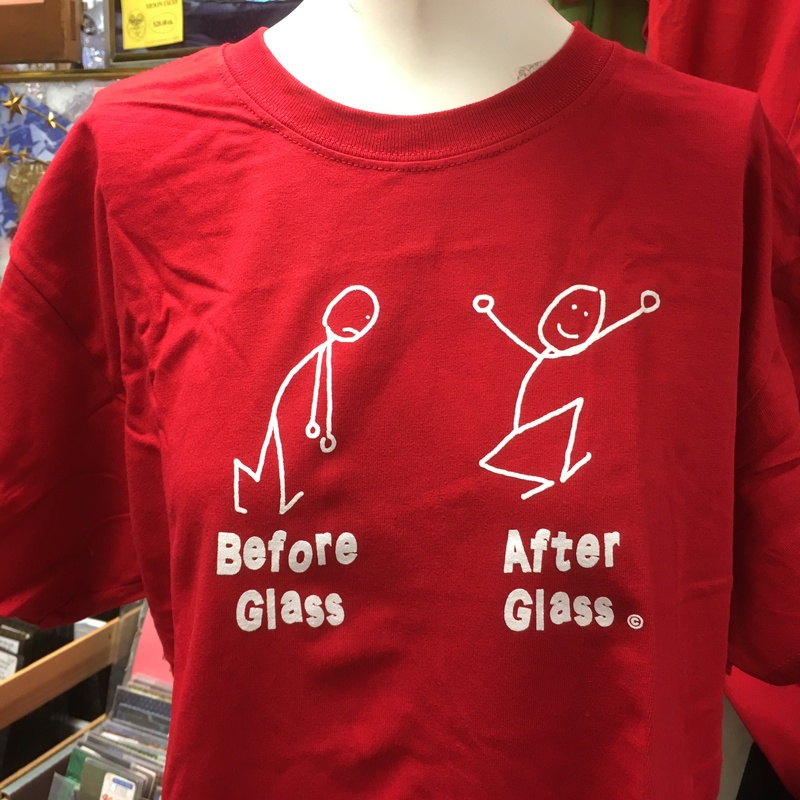 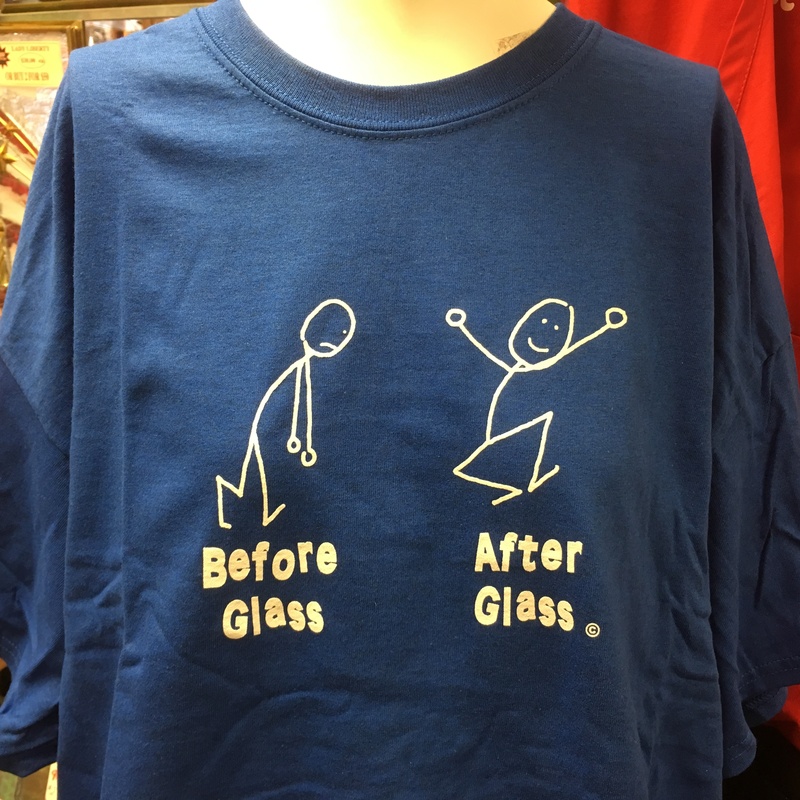 Before glass and after glass stained glass black t-shirt (also available in blue, green, red and pink). 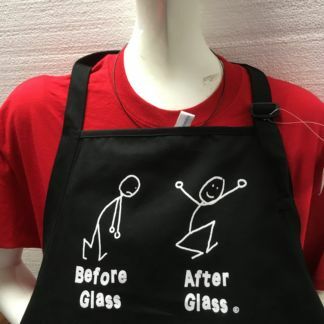 Wear your joy in creating with stained glass for all to see with this t-shirt. 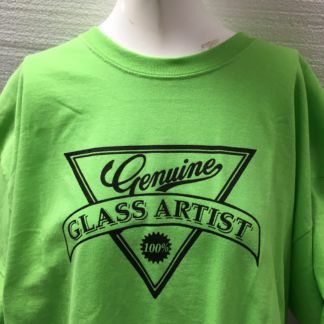 Loose-fitting, heavy-weight cotton. 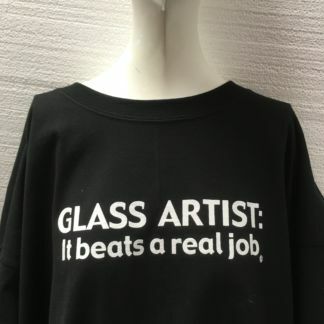 A majority of our shirts are on this blank. 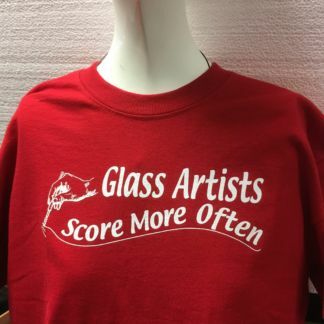 When somebody asks, “What size t-shirt do you wear?” the measurements on this probably match up to your answer. Our shirts are 100% cotton, 5.3 oz.